One of the real crowd pleasers at any airshow is the Heritage Flight. 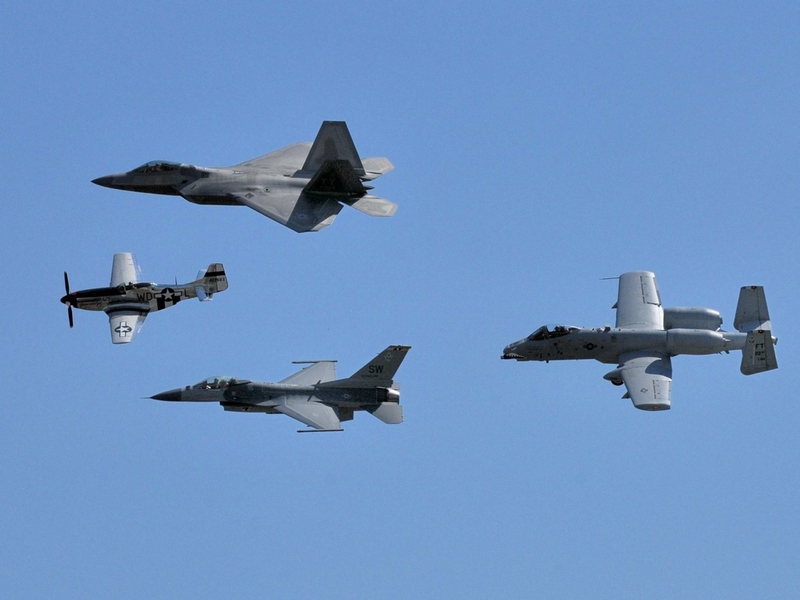 In these flights an older warbird leads a formation of modern combat aircraft from the various USAF flight demonstration teams. 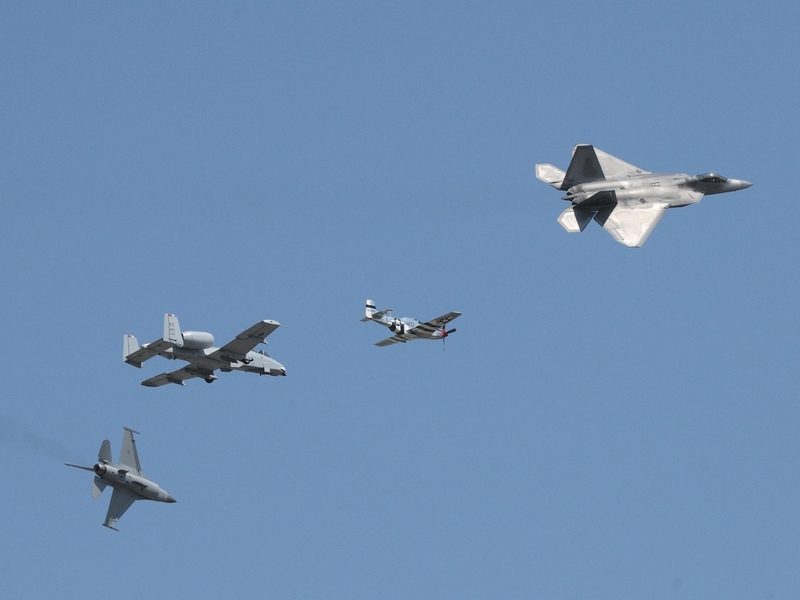 This year we had a fourship formation with a P-51 Mustang leading an F-22 Raptor, F-16 Fighting Falcon and an A-10 Thunderbolt II. OK, I like Viper and Warthog better myself but, since the link above is to the Air Combat Command site I thought I would let the bureacrats win one. Flying this kind of formation isn’t easy. Each aircraft has it’s own characteristics and the pilots train for quite a while before acceptance into the program. 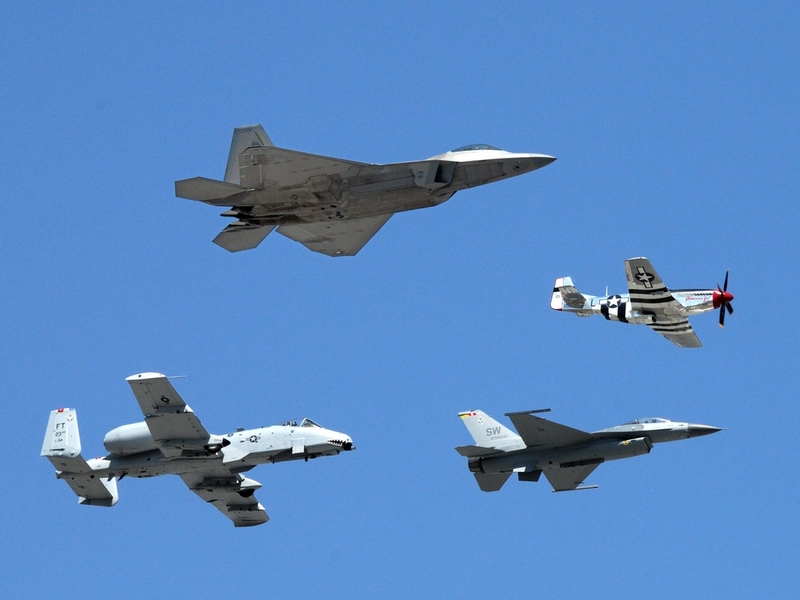 In fact, Air Combat Command has a training program specifically for the Heritage Flights. Here are a couple of other shots from the flight. The first was caught as the flight was breaking formation. In the second, the Raptor driver seems to be making an adjustment. After several diamond flybys, the aircraft departed in a line formation.